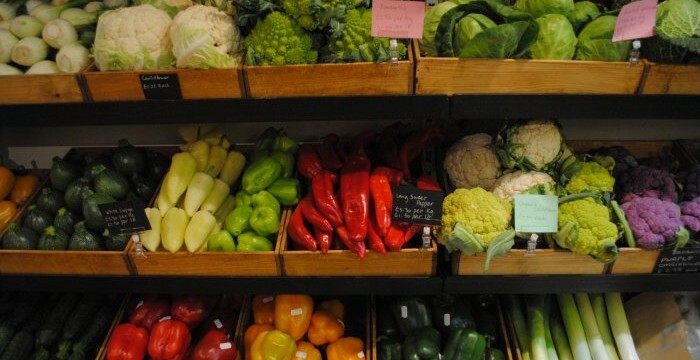 Last Saturday, West Hampstead Fruit and Vegetables finally opened its doors. Local foodies had been excitedly awaiting its arrival, eager to get their 7 a day. There’s been a steady stream of customers since then, and tweets have been overwhelmingly positive. But is the range of produce more imaginative than the name above the door? 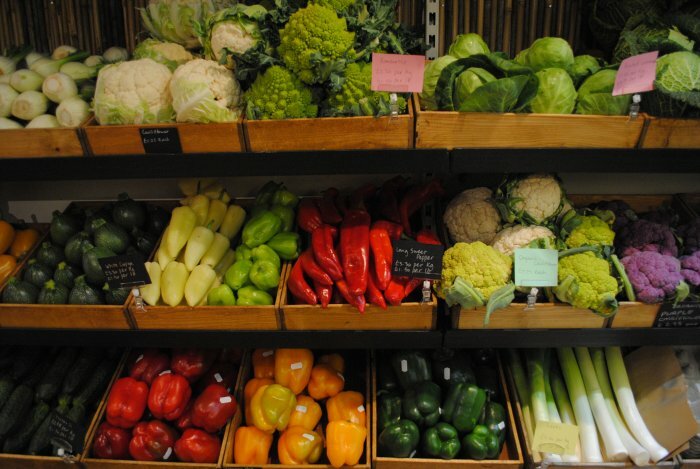 The shop is extremely well-stocked with an array of vibrant and colourful produce, from everyday basics like potatoes and carrots to exotic fruit (fancy a fejoia or a yellow pithaya?) and fancypants heirloom tomatoes. There are also other groceries such as eggs, nuts and herbs. 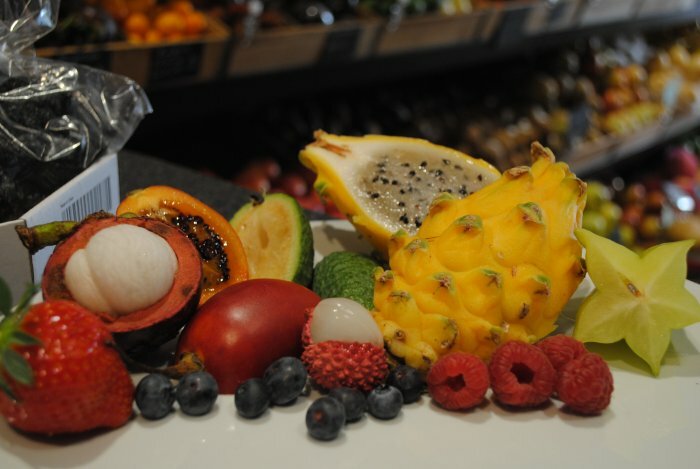 Quiz: How many fruits can you name? 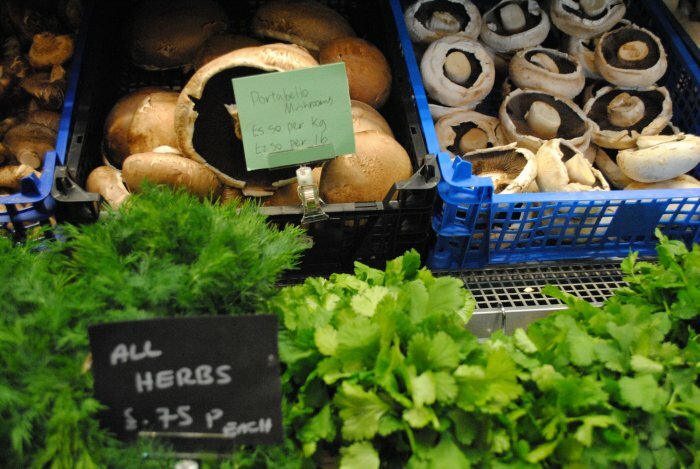 Mel says that, where possible, produce is sourced from the UK, so expect to find apples from Kent and UK-grown mushrooms, as well as other local fruit and vegetable varieties in season. She and her team taste the produce themselves each day to make sure they’re happy to have it on sale – there’s even a small kitchen in the basement for cooking vegetable samples. Do Mel and Aziz feel threatened by the nearby Tesco and Sainsbury’s? Mel is confident that their business is ready for the challenge. She points out that their opening hours are comparable (they’re open every day from 8am until 10pm) and that pricing is competitive. In addition to this, there’s a much wider variety of fresh produce than you’ll find at the supermarket, and it’s possible to buy the exact amount you need, rather than large packets that go to waste in the fridge. If you’re confused about how to cook with the different varieties of produce – I counted seven different types of aubergine – the knowledgeable staff are on hand to help. Manager Artur Topolewski is a trained chef and can help pick out the most suitable specimens for whatever you’re cooking. A far cry from “unexpected item in the bagging area”. If West Hampstead Fruit and Vegetables can continue as it’s started, we can see it being a big success on West End Lane.